"The invincible Iron Man. Super-soldier Captain America. The Incredible Hulk. The mighty Thor. One by one, S.H.I.E.L.D. 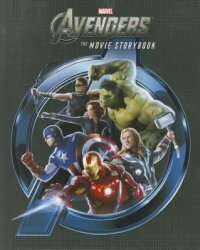 director Nick Fury, with the help of special agents Hawkeye and Black Widow, must bring these super heroes together to save the world"--P.  of cover. New York : Marvel, 2012. Description: 61 p. : col. ill. ; 26 cm.